Recent research shows that atrial fibrillation (Afib) is not more common in people who drink a few cups of coffee a day compared to those who avoid caffeine entirely. Coffee drinkers concerned about their heart health will be happy to learn more about the research findings. A study in the American Journal of Clinical Nutrition followed more than 30,000 women without heart disease or other major health problems. 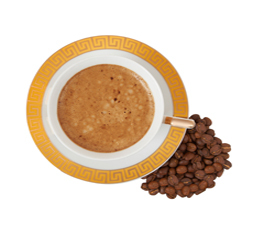 It reported that an increased level of caffeine consumption is not associated with an increased risk of Afib. Researchers tracked the women’s caffeine intake from coffee, tea, cola and chocolate and found essentially no difference in Afib risk between those who consumed the most and those who had the least. Atrial fibrillation is a condition that causes the top two chambers of the heart (the atria) to essentially short-circuit as a result of rapid disorganized electrical firing. When functioning normally, the atria serve as the “fuel injectors” for the heart. They squeeze and push the blood into the main pumping chambers (the ventricles) to prime them with blood so that this blood can then be ejected and sent circulating through the body. When fibrillation develops in the atrium, these chambers lose the ability to squeeze and push the blood into the ventricles. Many patients identify specific triggers that are associated with the onset of their atrial fibrillation events. In light of these studies, avoiding coffee isn’t necessary, which is good news for patients who simply can’t function without their morning cup of Joe. However, it is a good idea to limit the added sugar in that cup of coffee and any accompanying snacks.